A delicious side dish for any time of year, but festive for the holidays! 2-3 (+) tbsp Cultivated Tree Garlic Infused Olive Oil Tuscan Herb is great as well! Pre heat the oven to 400°F and line a half sheet pan with parchment paper. 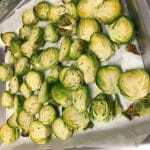 In a bowl or directly on the sheet pan with parchment, liberally coat the brussel sprouts with Garlic Infused Olive Oil. Season with sea salt and fresh ground pepper. If done in a bowl - spread evenly onto the sheet pan. Roast in the oven for 10 minutes. While the brussel sprouts roast, mince the shallot and place in a small bowl and coat lightly with garlic infused olive oil. In a separate small bowl, combine the dried cranberries and the brandy, Makers Mark - or Cranberry Pear White Balsamic. Let sit the entire roasting process. Toast your walnuts (in the oven or a small skillet watching them closely as they can over toast quickly.) Drain your cranberries. Remove the brussel sprouts from the oven. Transfer to your serving dish, mix in the cranberries and walnuts. Adjust seasoning with salt and pepper - drizzle a little additional Cranberry Pear White Balsamic and serve. 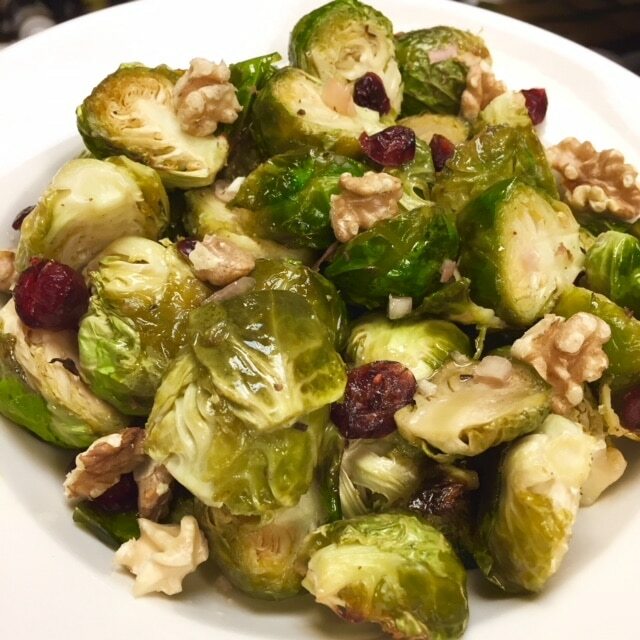 A delicious side dish any time of year, but these roasted brussel sprouts with cranberry and walnuts have a holiday flare. Roasted in our Garlic Infused Olive Oil and Cranberry Pear White Balsamic they are tasty enough for even the pickiest of vegetable eaters. It is a great complement to a holiday meal with family and friends.